The popularization of cultural-historic tourism and the interaction with the local communities for presenting the enormous heritage of Bulgaria over the last years has given a strong impetus to this type of tourism and has also proven its growing importance as a source of sustainable development. The increased interest of the tourists in the historic and cultural sights inevitably leads to investments in the tourist infrastructure. This was said by the Minister of Tourism Nikolina Angelkova in Istanbul during the Third World Conference on Tourism and Culture organized by the World Tourism Organization and UNESCO. “The wide variety of activities in the sphere of cultural tourism and the changes in consumers’ demand caused the cultural tourism to play a major role in the development of the sector. Culture and tourism are interrelated. Tourism is a way of marketing our cultural treasure”, said Minister Angelkova. She reminded that over 40 000 artefacts have been found around the country. For that reason, we decided to establish different tourist routes such as cultural-historic, wine and SPA routes, in order to consolidate the local expert knowledge and resources so as to give a common identity to the local cultural heritage, said the minister. According to her, after the establishment of 8 cultural-historic destinations in Bulgaria, there has been a substantial growth in the number of tourist visits. 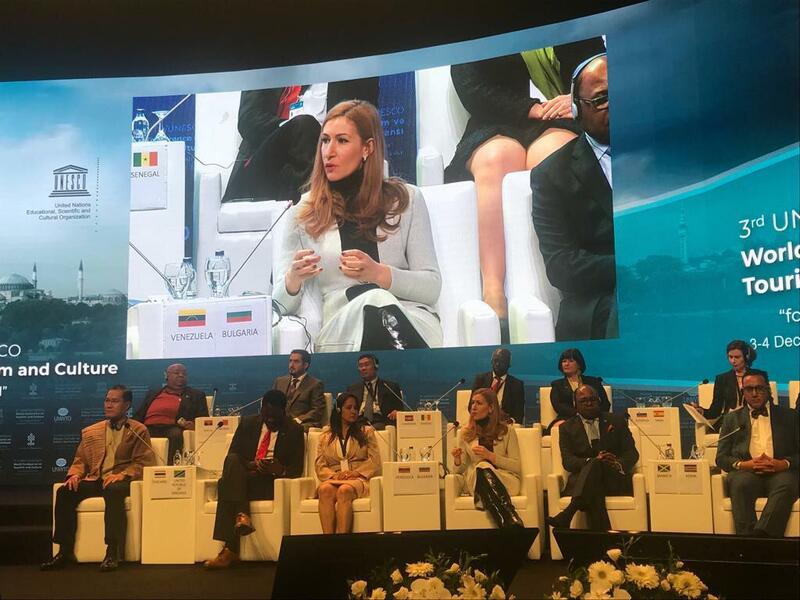 Minister Angelkova presented to the participants the platform iLoveBulgaria, which includes a complete list of the 100 national tourist sites. The minister announced that the tourist sector provides significant prerequisites for the economic growth of the separate regions of the country. That was the reason for the establishment of a National concept for zoning of tourism, which will contribute to the development of regional tourist strategies that, in turn, will popularize the local products on the national and the international markets. 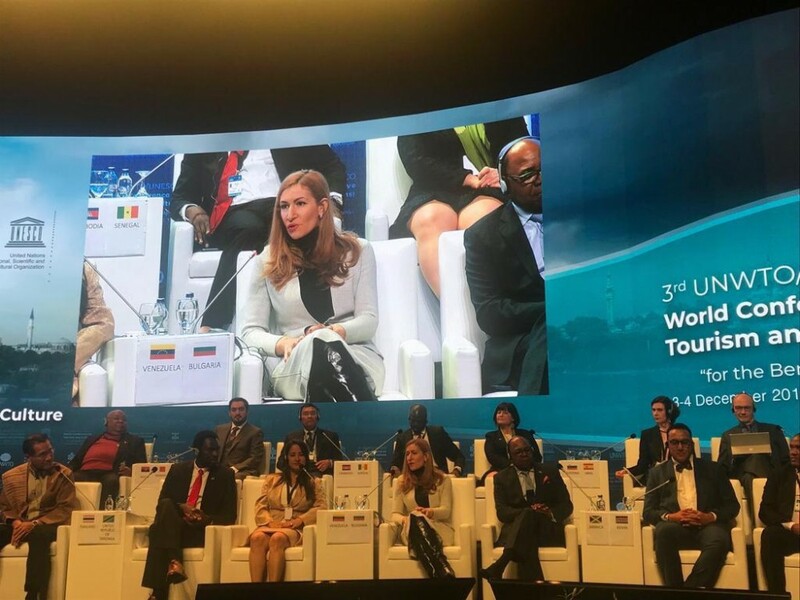 Minister Angelkova also said that in order to ensure a positive effect, namely to contribute to the economic well-being of our country or the region, cultural tourism has to be well planned. She added that the Ministry of Tourism is actively promoting Bulgaria before foreign investors through the so called Map of investment projects. It unites representatives of different regions and interested parties for the purpose of ensuring an economic benefit for the business and the local communities as well. Bulgaria has a lot to show both foreign and Bulgarian tourists and entirely follows the trend for a growth of cultural tourism worldwide, concluded the Bulgarian minister. 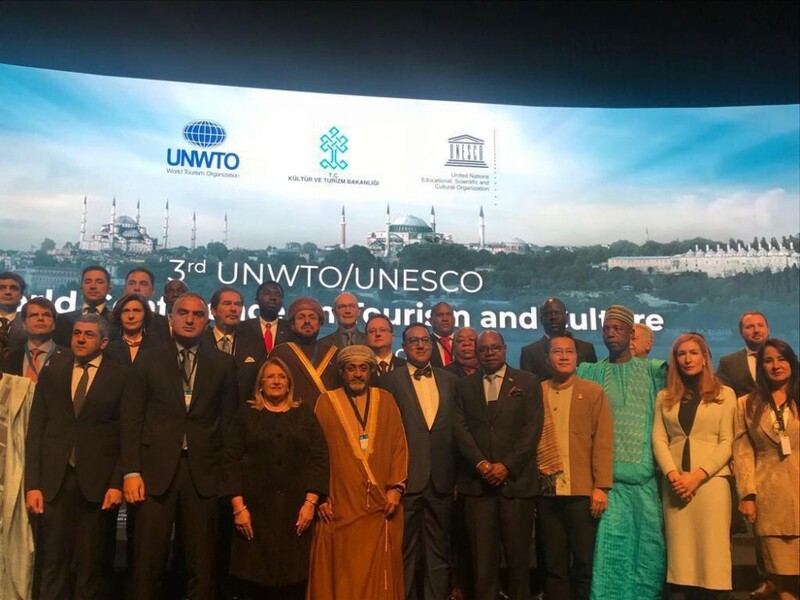 At the Third World Conference on Tourism and Culture, which was organized by the World Tourism Organization and UNESCO in Istanbul, I stated that the popularization of the cultural-historic tourism and the interaction with the local communities for presenting the enormous cultural heritage of Bulgaria over the last years has given a strong impetus to this type of tourism and has proven its growing significance as a source of sustainable development. In my opinion, the increased interest in the historic and cultural sites will inevitably lead to investments in the tourist infrastructure.